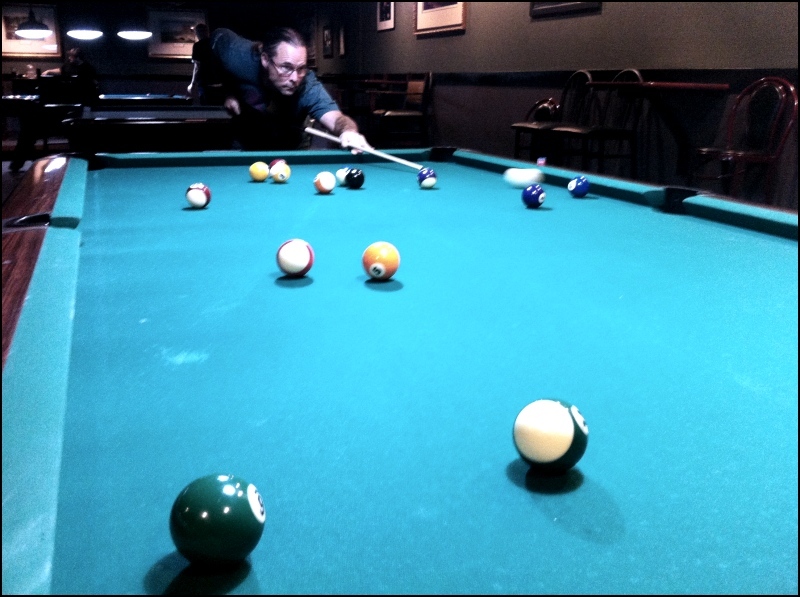 I’m returning to Sunday’s pool session at Uncle Jack’s. Mike was hot-hot-hot! For the first time that I’ve seen, he beat his dad every time they played. He easily beat me (I’ve played, maybe, once a quarter for the past year) and my dad. It was good to see him get past what I have thought of as the family jinx! You can see the cue ball in motion in this shot.